I accidentally blanched some almonds last night. Apparently, it's really easy to do! I shot this quick video to share with you how to remove skin from almonds quickly for those times when you actually want blanched almonds. If you hate videos, even short ones, read on to learn what to do. Add almonds to boiling water. Let almonds boil for a minute. Squeeze gently and the skin falls right off! I boiled the nuts to defrost them. I was so surprised when the skin came flying off. I've never blanched almonds before because I always assumed it would be a pain in the neck. Boy was I wrong! 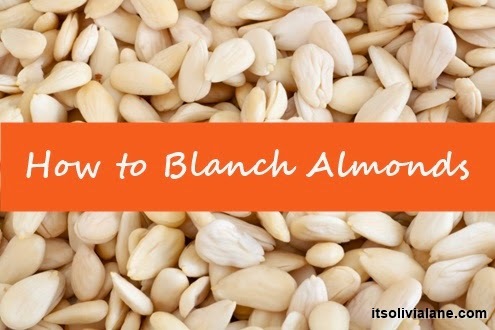 What will you make with your blanched almonds?